Hi, I’m Lexi. I dreamed about becoming a work at home Mom for 10 years. Today, at last, I am living my dream. I have 3 children ages 7, 13, and 19. A style of parenting that recognizes, respects and nurtures the natural development of children. It is a parenting approach that reaffirms every mother’s and father’s natural abilities to protect and ensure the survival of their young. It is a lifestyle that is eco-friendly and preserves the environment for future generations. This is why I was thrilled to put up Naturalmomsblog.com. It contains articles about natural parenting, tips and information for natural mothers (and fathers) and others who are seeking a more natural lifestyle. I began this blog to stimulate a deeper interest and discussion on natural parenting and eco-friendly living. I also hope that this blog will relate natural parenting concerns to current issues. A little more about me: Before I became a work at home Mom, I worked in UNICEF for 14 years. I am a freelance writer and certified childbirth educator. For two years, I wrote a monthly advice column about work-life balance in Good Housekeeping Philippines. I have also worked in children’s television and public information. I have a bachelor’s degree in communication. 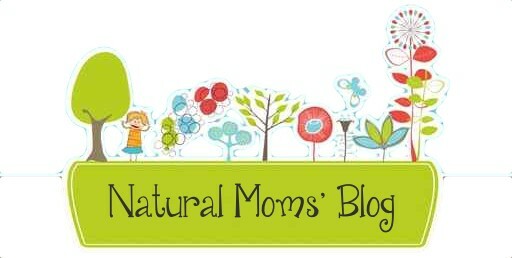 Like many other Web sites, www.naturalmomsblog.com makes use of log files. The information inside the log files includes internet protocol ( IP ) addresses, type of browser, Internet Service Provider ( ISP ), date/time stamp, referring/exit pages, and number of clicks to analyze trends, administer the site, track user’s movement around the site, and gather demographic information. IP addresses, and other such information are not linked to any information that is personally identifiable. www.naturalmomsblog.com has no access to or control over these cookies that are used by third-party advertisers. Google’s use of the DART cookie enables it to serve ads to you based on your visit to www.naturalmomsblog.com and other sites on the Internet. As a Mom who strives for natural living, I come across some resources and products that work for me and, therefore, I highly recommend. When I find something that I like, I try to become an affiliate for it. That means that, if you buy that product or sign up for that course through my link, I will earn a commission from it. However, if there is something I like but it doesn’t have an affiliate program, I will still recommend it. You can be assured that I only recommend products that I myself have used and would be confident recommending to my own mother and sisters. The only exception would be Google ads. To the best of my ability, I have blocked out ads for breastmilk substitutes. Other than that, I cannot control what products or services are promoted in the Google ads that appear on this site. However, I do need the ads to help pay for the website. I hope you understand.